Dayco is a truly global business with research & development facilities, manufacturing operations and distribution centres throughout the world. 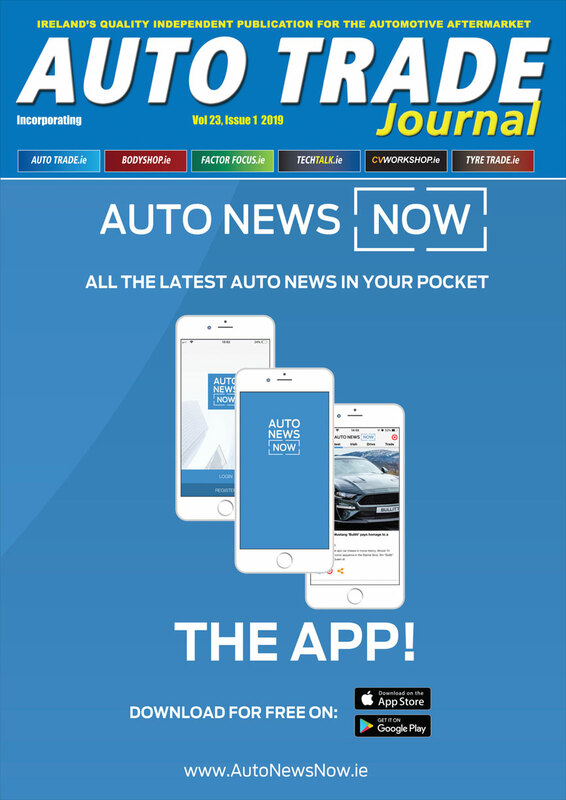 It specialises in power transmission products and is a leading engine products and drive systems supplier for the automotive, industrial and aftermarket industries. Dayco is also a major player in the heavy duty (HD) sector, where it supplies original equipment (OE) components, to vehicle manufacturers including Volvo, DAF, Scania, Iveco and Mercedes-Benz. Although the company originally made its name through the design and manufacture of drive belts, it has grown its product portfolio to include the associated components within the drive system to reflect its sector specialism. 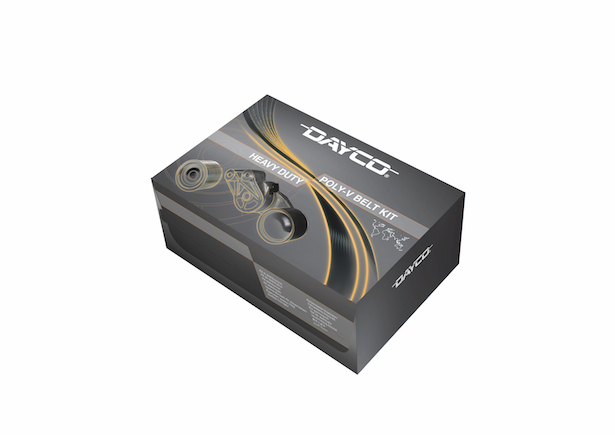 Therefore, the Dayco HD range also includes drive components – tensioners and idlers – to provide a complete system solution for the commercial vehicle aftermarket. At the heart of the auxiliary drive system is the belt, which, depending on the application, will be of either V or Poly-V design. Despite their relatively simple design, Dayco’s V-belts, which consist of more than 150 part numbers, are manufactured from premium quality materials to provide strength and durability, while providing optimum resistance to oil, grease, heat, chemical agents, and ozone, as well as continuous flexing. In contrast, the company’s Poly-V belts, which consist of more than 360 part numbers, are made of EPDM and manufactured to the latest design criteria to deliver the very best in contemporary belt performance. With a larger contact area compared to a V-belt, the Poly-V belt is capable of driving a greater number of ancillary components and can also transfer power from its outer surface, which, dependent on the application, can be either smooth or textured. Due to the fact that the load is spread across the belt, Poly-V belts are comparatively thin and therefore have tremendous flexibility, which means they are also able to be used on small diameter pulleys, increasing the scope for engineers when seeking the ideal solution for the drive systems of new engine designs. To ensure the anciliary components on the system are driven in accordance with their design specification, the drive belt must be kept at the correct tension and under a controlled load. This is made possible by the use of tensioners and idlers and with the increasing power of modern engines, allied to the growing number of auxiliary components driven by the belt, these drive components are now highly developed and engineered to exacting standards. Tensioners come in two broad designs: automatic and fixed and although there are several types, each one designed for a specific application, its main body/spring case design, arm offset and length, as well as pulley size, are all designed to ensure maximum performance of the drive belt system and are, therefore, key to ensuring the reliable operation of the vehicle. However, the tensioner is often overlooked during its service and maintenance. The most common tensioners consist of five main elements: a spring case and spring assembly, pivot bush, spring bush, arm and arm bush. Depending on the requirements of a given application, Dayco offers both flat and round wire solutions for the spring material used in the spring assembly. However, whatever the spring type, the performance and behaviour of a Dayco aftermarket tensioner is equivalent to the OE component. The pivot bush is another element that is central to the performance of the tensioner, as both it and the spring bush ensure that the tensioner moves smoothly, while being appropriately damped and in conjunction with the arm plate, also remains correctly aligned. This ensures that the belt continues to operate under the designated tension when the engine is both under full load and at idle. When it comes to idlers, which are generally manufactured in metal or plastic, their role is to guide the path of the belt and in doing so, prevent vibrations and undue noise. Dayco’s tensioner and idler range now comprises more than 190 part numbers. In order for technicians to carry out the best possible job and fleet managers maximise the reliability of their vehicles, the auxiliary drive system should be considered as a single entity, instead of looking at the belt and drive components separately. Therefore, rather than changing individual items, technicians should replace the complete system, which allows them to provide a thorough repair solution.